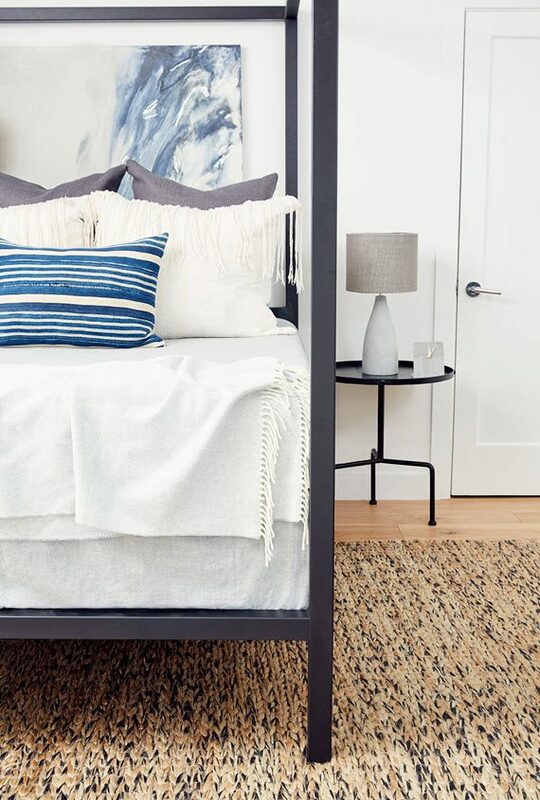 With a new year, many of us have plans to renovate or fresh-up our homes. One living space I’d recommend starting with the heart of the home, the kitchen. We recently finished our kitchen renovation and I must say, it was worth the pain. 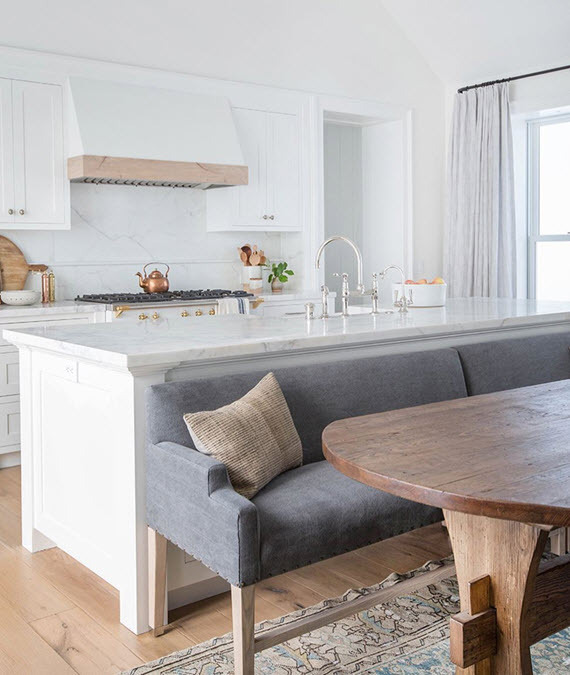 If you are considering a kitchen renovation of your home, take a look at my favorite kitchen design trends for 2018. Move over all-white kitchens – dark kitchens are in! The dark kitchen however is not a new trend in 2018, but one that’s been building momentum over the last few years and can’t be ignored. 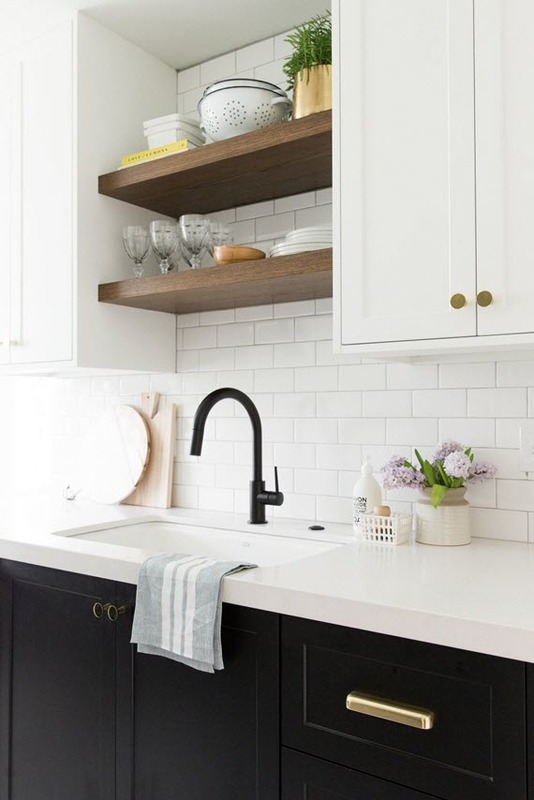 From modern to traditional, dark gray, navy and black are hues are being used on cabinetry. 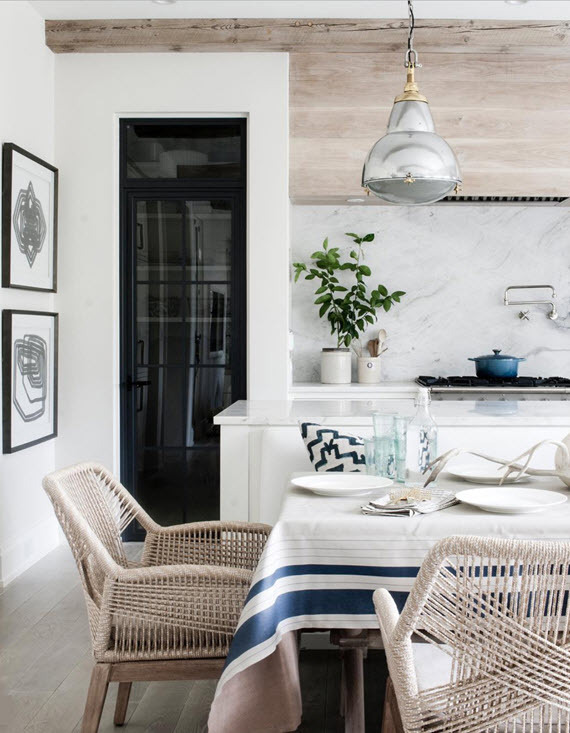 I love it paired with white walls like in this kitchen designed by Studio McGee. 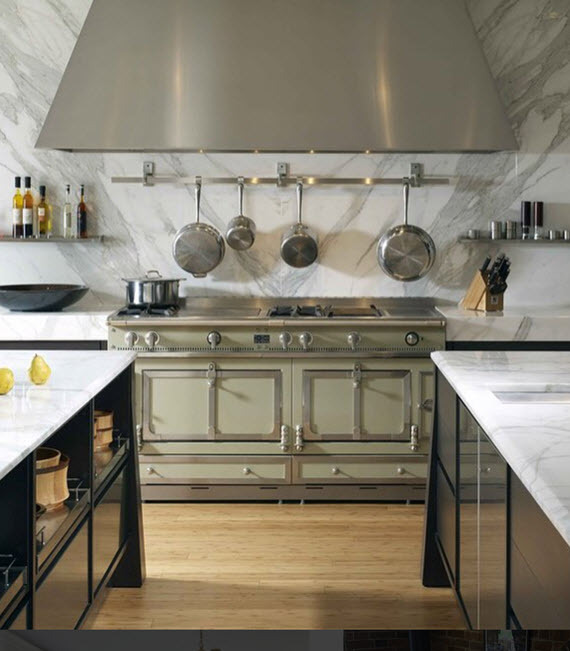 Another trend in kitchen design are statement ranges. 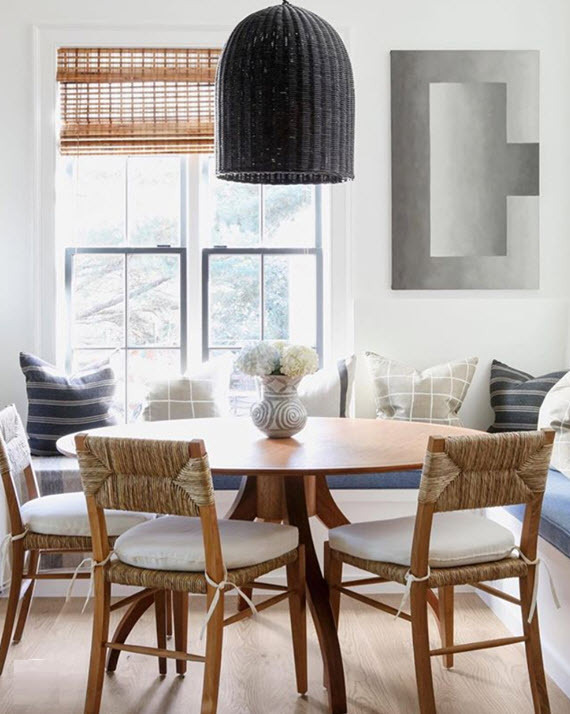 Elaborate hoods are being toned down, while ranges are ramping up in style. Even though there are several luxury ranges that would certainly make a statement in your kitchen, La Cornue is leading the pack. La Cornue gives you more flexibility in customizing the color and trim of their ranges with 8 colors and 3 trim options. 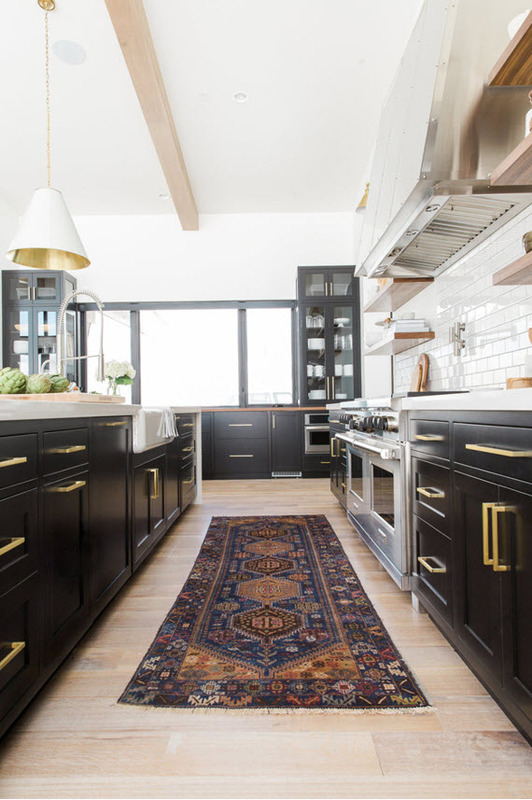 This gourmet kitchen (spotted on Instagram) feature’s a gorgeous La Cornue range in tapestry. For sometime The Shade Store has been a go to destination for me to source window treatments for clients as well as my own home. 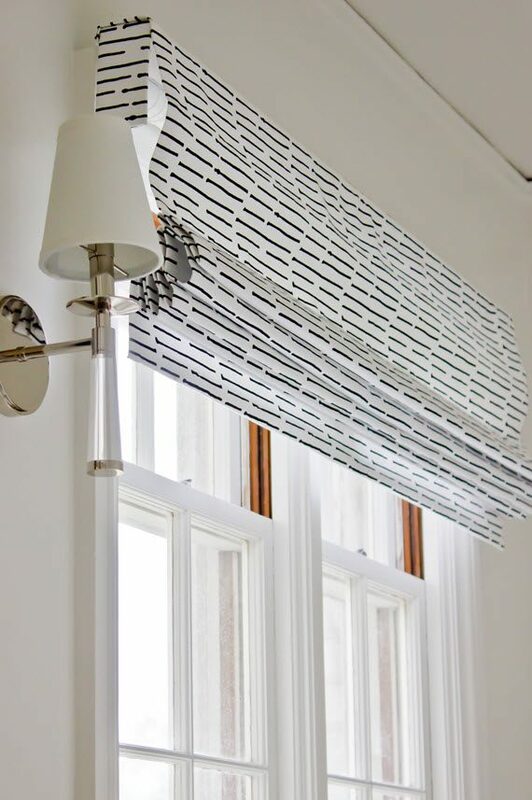 Do you remember the beautiful Roman Shade in our master bathroom for the One Room Challenge? To ensure quality custom window treatments, The Shade Store manages all inventory as well as every aspect of the production process. In addition, I love that all of their products are made in the USA. 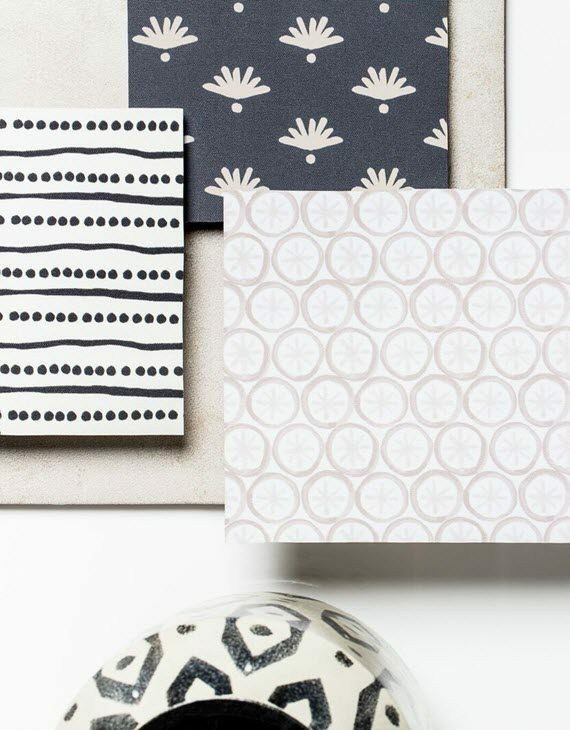 The Shade Store collaborates with leading designers such as Kate Spade New York, Jonathan Adler and Jeffery Alan Marks to create fresh and relevant collections. 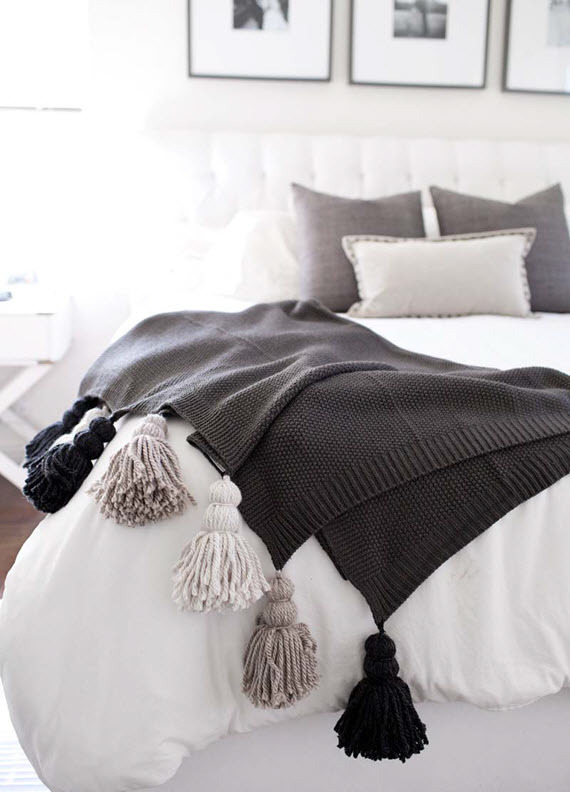 I was thrilled to hear that recently they launched a collaboration with A-list designer, Nate Berkus. 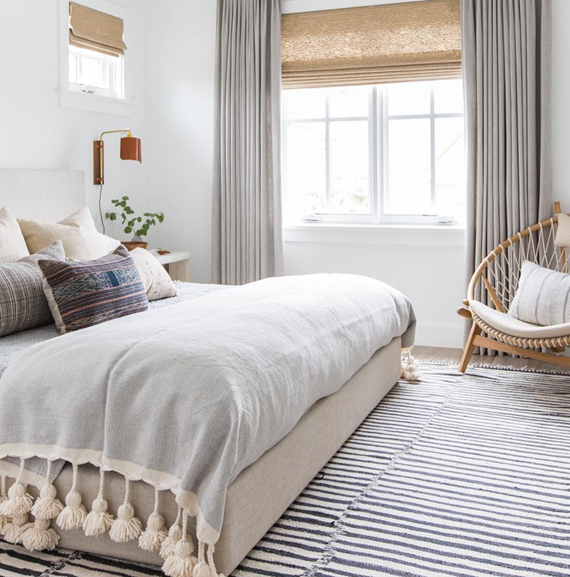 The Nate Berkus for The Shade Store Collection features five patterns for Roller Shades in neutral prints inspired by Berkus’ worldwide travels including textiles from Mexico, embroidery from Southeast Asia and printed fabrics from Europe. Some of my personal favorites are listed above. I’m loving this collection – how about you?